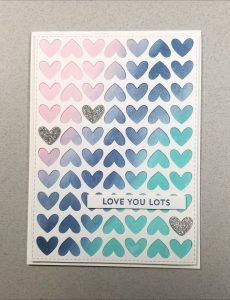 I’m using my new MFT stamps & dies to play along with the Color Throwdown Challenge this week. How fun is that clipboard!? And the notebook paper background? Be still my office supply loving heart! This entry was posted in Cards, Challenges, CTD, Friendship, Thinking of You and tagged MFT on June 11, 2014 by purple_place_designs. After a wonderful time visiting My Favorite Things last weekend, I really wanted to spend another weekend being crafty. Unfortuantely, I had to do the housework that I didn’t do last weekend. I did manage to scrape out enough time to play along with the Color Throwdown Challenge again this week. It doesn’t show up very well in the picture, but I used the Linen background stamp on the light pink panel. It adds a really nice bit of texture to the card. Also, there are 56 very small rhinestones on the accent strip. That seemed like a much better idea before I started placing 56 very small rhinestones. This entry was posted in Cards, Challenges, CTD, Friendship, Thinking of You and tagged MFT on June 8, 2014 by purple_place_designs. Here’s another card I managed to get done this afternoon. Not bad for the last day of my vacation! This time I’m playing along with the MFT Wednesday Stamp Club. This entry was posted in Cards, Challenges, Congratulations, MFTWSC, Wedding and tagged MFT on June 2, 2014 by purple_place_designs. So I was out of town all weekend and didn’t think I’d be able to play along with the Color Throwdown Challenge this week. But I got in around 10am, went grocery shopping, came home, scritched the dogs, unpacked, started laundry and realized I had enough time to squeeze a quick card in! This entry was posted in Birthday, Cards, Challenges, CTD and tagged MFT on June 2, 2014 by purple_place_designs. This entry was posted in Birthday, Cards, Challenges, MFTWSC and tagged MFT on May 26, 2014 by purple_place_designs. 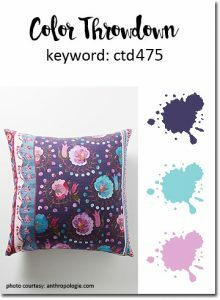 This entry was posted in Cards, CTD, Friendship and tagged MFT on May 26, 2014 by purple_place_designs.